Nothing brings joy like bringing a baby into the world. Bringing a new baby into the world is one of the most special moments in your life. It’s also a moment that deserves special care from a team of health care professionals dedicated to making your birth experience the experience of a lifetime. 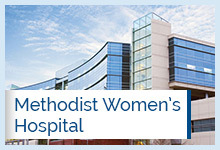 Helping more moms bring their babies into the world than any other hospital in the region. 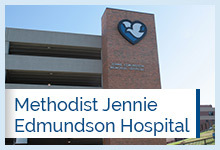 With nearly 5,000 babies born each year at Methodist Women's Hospital and Methodist Jennie Edmundson Hospital, area families have made Methodist Health System their number one choice for childbirth services. Our team of physicians and health care professionals provide the most caring, comprehensive and advanced care available to ensure the safest and most positive experience for you and your new baby. Throughout your pregnancy, childbirth and beyond, we provide the services you need to make sure your baby has the healthiest start possible.